Writing style and voice, prominent software and tools, career and workplace issues – just some of the topics addressed by Current Practices and Trends in Technical and Professional Communication. Edited by Stephen Crabbe, and published by the Institute of Scientific and Technical Communicators (ISTC), the book brings together academics and professionals from the field of technical communication, to provide a comprehensive overview of the state of technical communication in Europe today. Lorcan Ryan’s opening chapter sets the tone for the rest of the book. Here, he explains that native English speakers make up only 5% of the world’s population, yet three times this number use it as their preferred ‘foreign contact language’. Given its widespread usage by non-native speakers with varying degrees of proficiency, there’s a high potential for misinterpretation in English language communication. Therefore, using English as the only global language of communication is unfeasible. Consequently, Ryan writes that translatability assumes the prominent position in a global authoring strategy that aims to bring content to a wider audience. Keeping ourselves in our writing might help genuine reader-writer interaction, simplify writing, help people overcome barriers to writing and help readers to evaluate writing. While this idea does seem to present the possibility for a greater connection with our audience, it seems at odds with the best practice of adhering to a style guide. Ellis Pratt continues the theme of a friendlier tone, writing about empathy in the techcomm industry. He points to companies such as Google and Mail Chimp, which present their users with a friendlier style of writing in their help topics. Pratt also highlights the short attention spans of product users. These days, many end users expect that technology should be rapid and function without error, preferring to replace an item rather than repair it. In contrast to Edward’s contention that the writer should be visible in the text, Andy Healy argues that invisible writing is the ultimate goal for a successful user experience. For example, if an interface is designed correctly, then there will be no need for users to look for help. This does not negate the importance of the technical communicator, rather it emphasises their role in the content production process right from the start. Videos and ways to produce them efficiently are explored by Jody Byrne in the opening chapter of the second part of the book. He highlights the importance of videos in contemporary techcomm and touches on the resources needed to provide successful video production – human, financial, organisational, and technical. Byrne emphasises that in certain areas, videos need to be viewed as a replacement of, rather than supplement to certain deliverables. It is a trend that companies can be slow to embrace and Byrne cites the myriad of examples of end users uploading their own how-to videos as evidence of this. The task of writing instructions on how to navigate through an interface and perform various tasks is akin to giving someone directions over the telephone. In one of three chapters devoted to the simplification of content production in Current Practices and Trends in Technical and Professional Communication, Marie Gillard and Patricia Minacori consider how we can manage digital complexity. Further to Lorcan Ryan’s argument, the authors suggest that a systemic approach is needed to streamline diversity and support single-source content creation. The theme of content production continues with Keith Schengili-Roberts’ chapter on DITA. The fastest growing standard for structured content has gained a firm foothold in the computer software and related IT services sector, where 39% of all firms use it. This chapter provides a very comprehensive overview of DITA, including its history and its best practice of minimalist writing. Later, Nolwenn Kerzreho asserts that the modular nature of DITA lends itself to collaborative authoring, and that it should be a mandatory component of techcomm curricula. Andrew McFarland Campbell looks at ways in which developers can ease the burden on their techcomm colleagues by researching automatic documentation for software. McFarland Campbell argues that developers should become more cognisant of the fact that everything in the interface is seen by the end user. This is an interesting point and one that would surely aid technical communicators in their everyday working environments. However, the chapter fails to specify exactly how such collaboration would be accomplished. 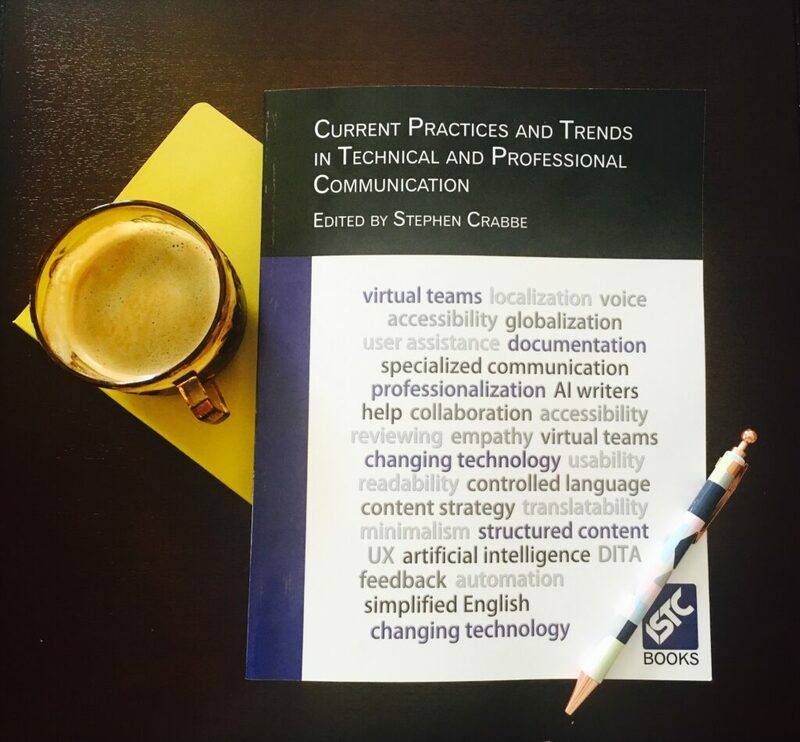 Current Practices and Trends in Technical and Professional Communication is an edited volume published by the ISTC. Yvonne Cleary’s empirical research with Irish-based technical communicators provides an interesting insight into the current professional landscape. Interviewees speak of threats to their jobs due to outsourcing to countries where labour is cheaper such as, India, China, and Poland. Social media is also viewed by some as a threat. Nonetheless, most remain positive about the future for technical communicators in Ireland. The consensus is that Ireland will retain its competitive edge by virtue of its large base of native speakers and favourable time zone. Considering reviews right from the project planning stages, using good communication to indicate the context, scope, and type of reviews, and establishing a document maintenance plan that reflect[s] the risk of the document will prove to save time and money. Looking to the future, the book ends with a brief look at Artificial Intelligence (AI) content by reviewing the work of computer programs. No one person can incorporate all the skills of techcomm into a flawless output, write Jason Lawrence and Chelsea Green. The authors confirm that computer programs have the potential to reduce this burden or indeed replace some of the work of human writers. Given that companies are not always willing to spend resources hiring technical communicators, the advancement of AI may be seen as a threat to techcomm jobs, although we are still some distance away from this occurring. Keep user experience as the main focus point as they endeavour to act as the bridge between experts and users. Continue to equip themselves with the necessary skill sets to accomplish what is often a challenging task. Advocate for best practices such as the importance of the active voice, eliminating complexity, and keeping translation costs to a minimum. Be vocal with management in order to ensure that adequate time and resources are being given to the development of high quality User Assistance. Do you have anything to add to the discussion on how to improve the user experience or on the role of the technical communicator in 2017? We’d love to hear your thoughts on key current practices and trends in technical and professional communication. Aedin is a graduate of the University of Limerick and works as an Information Developer. What is your definition of “minimalist writing”? Minimalist writing as a DITA best practice is to provide only the information that users need, when they need it, and nothing more.